Your package wouldn’t be complete without the highest quality tooling and machinery to assemble it. With heat seal tooling production, and heat seal machinery distribution, Rohrer is your single source for a packaging solution that builds your brand and business. 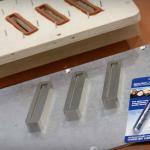 Rohrer supplies full sets for all heat seal machines for your new project or package redesign. Rohrer also produces print, thermoforming and prototype tooling, addressing any and all of your on-site tooling needs. 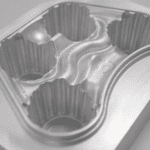 Even ezCombo™ participants benefit from Rohrer’s tooling production, with in-house, low cost, one-up tooling. It’s about speed, quality and cost. And your bottom line.